David H. Balkan is a writer-producer who has written and/or produced over two-hundred and fifty hours of film. He has been the executive producer-showrunner on five one hour dramatic television shows. 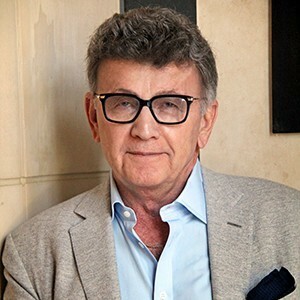 Over the years, Balkan has served in several senior level staff positions on other TV shows as well as partnering in his own production company. He has written and produced pilots and movies for television and he co-created a one-hour police drama that aired for two seasons as a first-run syndicated series. Balkan served two consecutive terms on the Board of Directors of the Writers Guild of America. He also served on its Membership Finance Committee and was Co-Chair of the Writers Education Committee. He is President of the Board of Trustees of Oralingua School for Hearing Impaired Children and Co-Chaired Media Access, an organization that helps people with physical disabilities find access to the entertainment industry. In 1998, Balkan was the recipient of the Writers Guild Joan Young Memorial award. For the past five years, Balkan has taught advanced screenwriting and production at the graduate and undergraduate level in the school of Cinematic Arts at the University of Southern California. In addition to the Writers Guild, Balkan is a member of the Producers Guild of America, SAG and AFTRA. He has a second career doing Voice-Over narrations for television and radio commercials and has narrated audio books and documentaries, including Larry Bird’s autobiography, Bird Watching. Recently, Balkan was invited to be included in the National Register’s Who’s Who in Executives and Professionals which is registered at the Library of Congress in Washington DC. Balkan has performed a cabaret act at various venues throughout the LA area and has recorded a CD of great American Standards. He is a graduate of the University of Connecticut, has two children and lives in Beverly Hills, California with his wife, Ellen, who is a psychotherapist.